Pretend being a star at Villa Madame! Do you still feel ecstatic in front of the beautiful black and white photos of the legendary Studio Harcourt? Thanks to the Villa Madame, it’s now your turn to play the star, posing in the photo booth of Studio Harcourt, which is set up in the heart of this fine hotel from 12 December 2017 to 26 January 2018. Any time day or night and for €10, you can get a printed portrait, just like all the music and film stars, while discovering, for those who are not already familiar with it, the bar and tea room with its fireplace in this beautiful 4-star hotel. 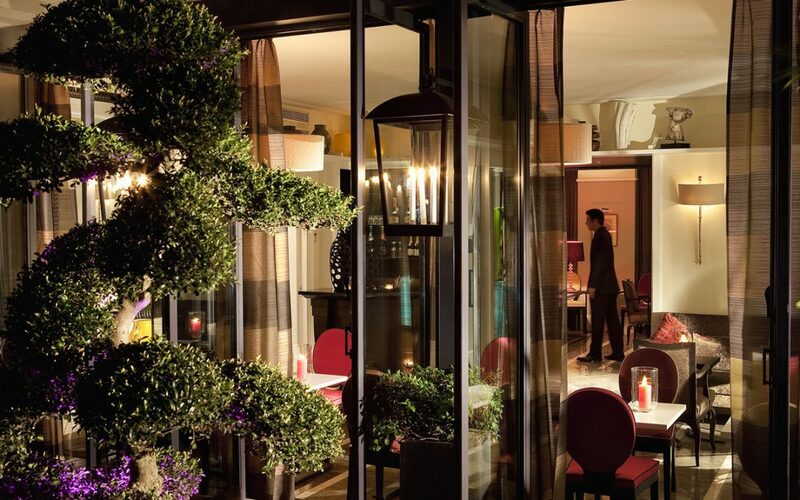 Synonymous with luxury, the Studio Harcourt photo booth finds its place quite naturally within glamourous this hotel, renowned for its richly decorated rooms (florals, antiques, poetry, paintings, sculptures), some with a flowery terrace offering a typical view of the rooftops of Paris. Tucked away in the quiet street of rue Madame, the Villa Madame is a well-known Parisian retreat where you can also come for just a quiet drink and leave with your star photo print! Bar and tea room open until 1 a.m. in the morning.